That's called "On-Page Leverage". If you have good on-page factors, you can easily outrank your competitors with significantly less backlinks and other "off-page" SEO costs, like PPC ads. 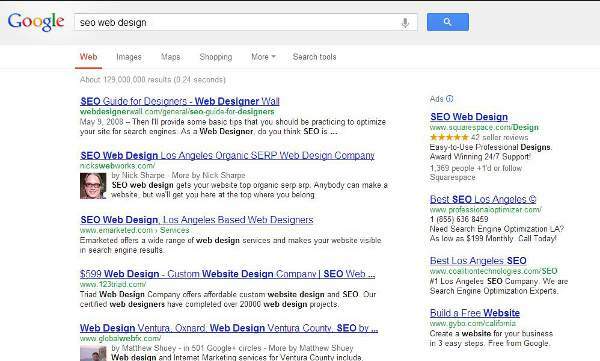 The big companies (or the little guys at the top of search, like us!) usually consult for on-page optimization, site structuring, robots txt, sitemaps etc., BEFORE they even start building backlinks. 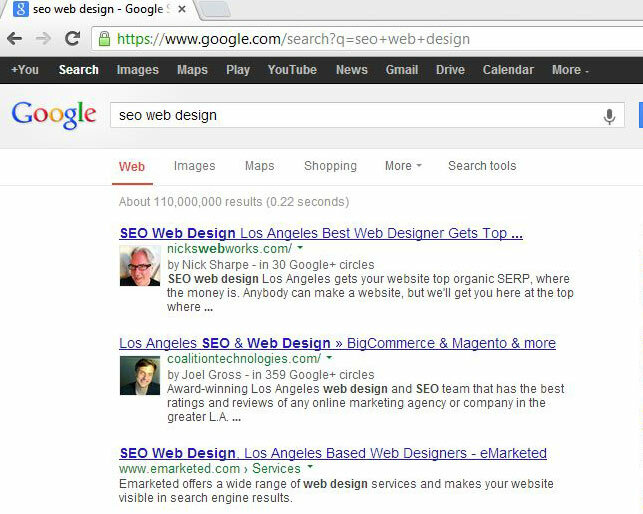 Call or email now to get the real deal in SEO, and get the biggest bang for your web marketing buck with NicksWebWorks SEO web design. What we have done in the super competitive Los Angeles market, we can easily do for you in your local market area no matter what you offer. Nickswebworks' proven Clean Code Advantage seo webdesign techniques has ranked affordable small business websites ON TOP OF big budget national marketing efforts in local search. No promises. Just proven results. We Are The Kings of Local Organic Search! We design websites with Google friendly logos, graphics and relevant content built on clean HTML5 code, the kind Google loves! Our proven web design techniques employ industry best practices that result in highest organic search engine results placement (SERP). NicksWebWorks auto dealer clients RULE the local SERP for "sell my car los angeles"
How to get your web site to rank high in search results for your keywords is detailed for you in Google's own SEO Starter Guide. Download the pdf and settle in for a nice, long read. 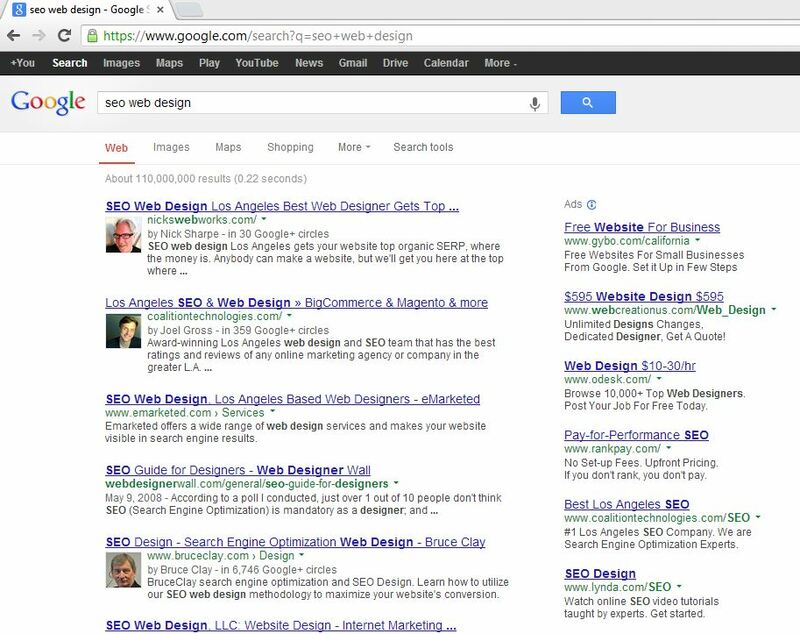 Then, when your eyes glaze over, give me a call 323-960-5655 or use my handy online form 24/7 and get the best seo web design working for you now.